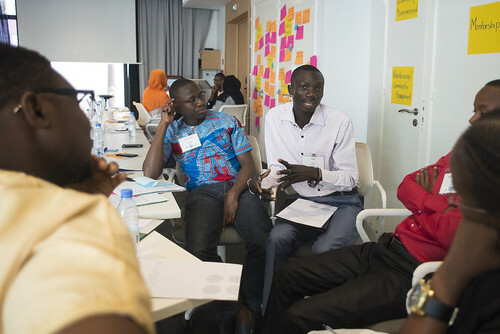 In early December 2016, seventeen participants from eight countries met in Dakar, Senegal to participate in the 10th Connect Camp of the Young African Leaders’ Initiative (YALI). 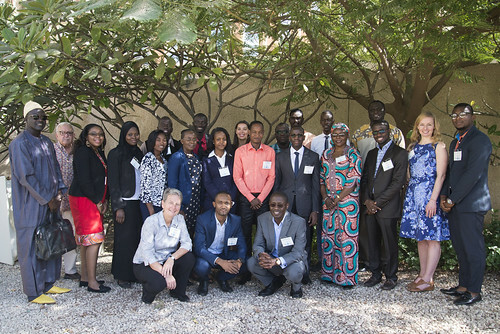 Participants were from Chad, Guinea, Guinea Bissau, Liberia, Namibia, Niger, Togo and Senegal. The YALI Connect Camps are administered four times a year in four regions of sub-Saharan Africa, funded by the Bureau of Educational and Cultural Affairs (ECA) in the U.S. Department of State and administered by the Institute for International Journalism at Ohio University. These participants learned about leadership, mentorship, the Art of Hosting, Human Centered Design, and more. 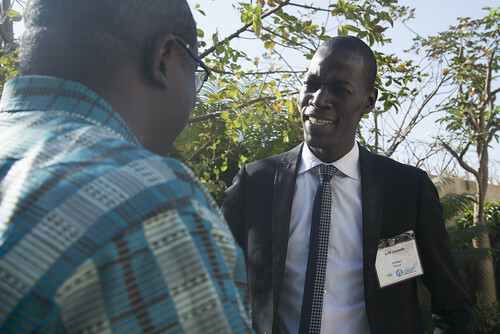 They interacted with resource experts such as Kofi Essien of OLE Ghana, Dr. Mamadou Sarr of CorpsAfrica, and Dr. Mame Yauto Faye of the Institute of Management in Dakar, and Ohio University faculty, Dr. Judy Millesen and Dr. Yusuf Kalyango. 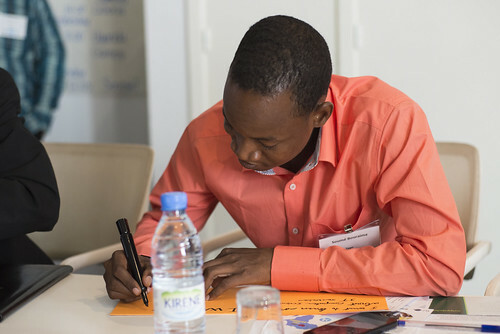 Similar to the 9th YALI Connect Camp, participants shared their goals for the week and created another sticky note wall. As different goals were accomplished over the course of the week, participants moved the sticky notes from the "We Want To" wall to "We Did It" wall. Participants learned about different art of hosting techniques, such as the World Cafe, Human Centered Design, and Asset Based Community Development, then put these and other techniques to work in groups during the second half of the week. Over the course of the week, participants regularly reported back to the group to share their own processes of inspiration, ideation, and goals for implementation of their projects. This was not the only presentation that participants gave. Each mentor-mentee pair was asked to give a 10-minute presentation about their country and what they thought made it special. These presentations were fun, with videos, laughter and (just like the 9th YALI Connect Camp) even some dancing thrown in! The fun continued with cultural events in the evenings, from visiting a nearby art exhibit to listening to Senegalese music. Throughout the week, participants also worked on fostering and developing mentoring relationships. On the final day of YALI CC 10, participants completed the final touches on their final projects, gave brief presentations, and were then given a tour of the YALI Alumni Network , one of several Ohio University resources that they will have as alumni of this YALI program. All of the work they did this week, from inspiration to ideation to implementation, was drawn out in an easy-to-follow graphic. This tool corresponds to a multitude of resources now available to the participants, and serves as a road map from taking an idea through from its birth to implementation and success. The next round of Connect Camps in 2017 are scheduled to take place in Botswana and South Africa.